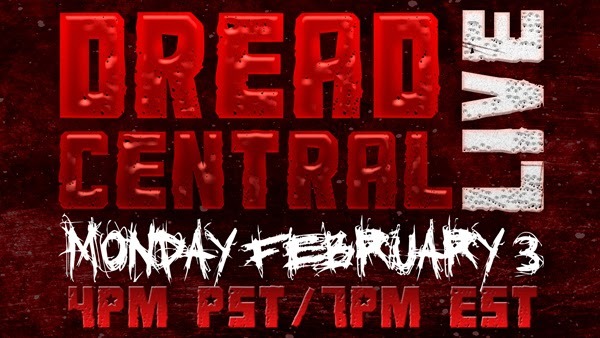 Fans of the horror site DreadCentral.com will have another way to enjoy up-to-the-minute horror news and talk. Hosts Staci Layne Wilson and Vanessa Gomez will guide viewers on a weekly journey of keeping current in horror via news updates, interviews with genre and mainstream stars and filmmakers, exclusive clips, trailer premieres, as well as exclusive coverage from set visits for horror feature films and TV shows in production. During the interview portions of the show, fans can submit questions via Twitter and Facebook. The show premieres Monday, February 3rd at 7pm ET/ 4pm PT on theStream.tv, an online entertainment network airing interactive weeknight shows.